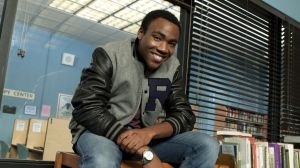 NBC presents a comedy is about a group of misfits attending the Greendale Community College. 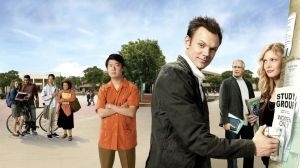 Jeff Winger (Joel McHale), a lawyer who has his degree revoked, goes back to college and forms a study group. Jeff and his fellow study group members, over time, learn more about themselves, as well as each other. 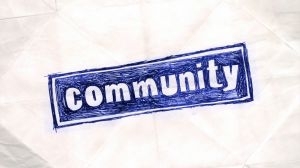 Community is a production of Krasnoff Foster Entertainment, Harmonious Claptrap and Russo Brothers production in association with Sony Pictures Television and Universal Media Studios. January 26th 2015 Genre rating updated by Administrator. January 26th 2015 Genre added by Administrator. February 4th 2014 Rated by Christof. December 26th 2013 Rated by FreddieH85. September 21st 2013 Rated by Kirios. September 21st 2013 Stats edited by Kirios. April 13th 2013 Rated by pandgie.